We often talk of Cape Town and Johannesburg, but Durban may just be that hidden gem we’ve forgotten about. With the largest Indian population outside Asia, the largest Shopping Mall in Africa, and a fascinating Aquarium – Durban is a cool place! Lets take a peek at some fascinating “Durban” facts. * Take a guess at how many Indians Durban has. A few thousands, you said? No. 6 Lakhs is the number. 🙂 Which means Durban has more Indians than Jammu and Dehradun! And it has more Indians than there are people in Atlanta and Las Vegas. Well? 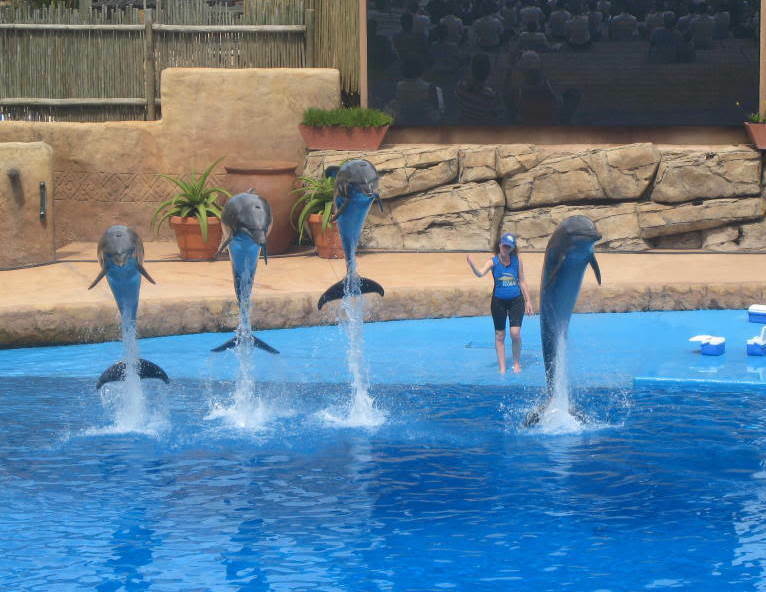 * Durban has Africa’s largest Marine Theme Park – the uShaka Marine World. The cool thing about this “aquarium” is that a spectacular sea wreck has been recreated here! And to add to that there are also some mind numbing dolphin shows. uShaka Marine World also boasts of a huge quantity of water: 7500 cubic meters of it! This much water could sustain an average Indian for a whopping 320 years. Interesting? Here’s a picture! * Durban’s Indian connection has been there since, well quite a long time. Where did Mahatma Gandhi set foot, when he came to South Africa in 1893? No prizes for answering – Durban. He also lived here with his wife Kasturbha for more than 19 years and espoused the causes of the Indians here. Durban pays tribute to the great leader today with a statue at Phoenix Settlement. There is also a street named after Mahatma Gandhi. * What does Durban have to do with sports? Everything. Many games from the 2003 ICC Cricket World Cup were held in Durban. 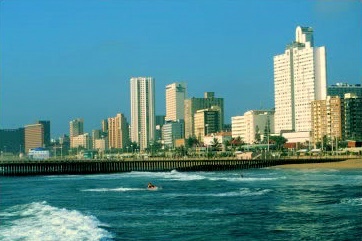 Durban then played host to the ICC Twenty-Twenty Cup in 2007. And then came the Indian Premier League in 2009! And yes, it is one of the venues for the FIFA World Cup, 2010. 🙂 Are you coming? * Durban is pretty “empty” when you compare it to cities like Mumbai and Delhi. In one square kilometer, there are 15 times as many people in Mumbai as in Durban! How many people do you generally see in one glance at a railway station in Mumbai? 100? In Durban you will see 100/15 = 6 people! Isn’t Durban fascinating? You might like looking at an intriguing Durban Tour here. I’ll end with an event that hardly any Indian will ever forget. It happened in Durban. It was stunning beyond doubt. Yuvraj Singh, hit 6 sixes in an over at Kingsmead in Durban. 🙂 Here’s the video. Enjoy.